PLUSS® has been a constant trendsetter in the field of functionalized polymers which serve to enhance the mechanical properties and processing conditions of polymer compounds, blends and alloys. Speciality polymers are chemically modified polymers used as coupling agents, compatibilizers, impact modifiers, tie-layer adhesive resins, metal adhesion promoters, flow modifiers and chain extenders for polymer compounds, blends and alloys. These are produced by chemical grafting of reactive monomers like maleic anhydride, glycidyl methacrylate and other similar materials on the base polyoleifnes. They possess superior properties than the simple polyolefines in terms of polarity, adhesion to different substrates, and compatibility with reinforcements and fillers. 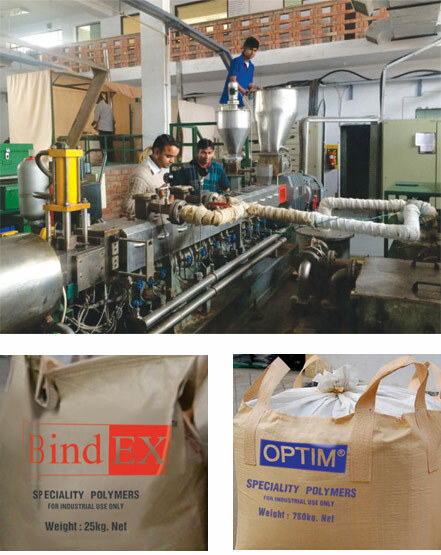 PLUSS® produces and markets these speciality polymers under the brand names OPTIM®, BindEX™, NOVIS™, ADNYL™, OPTIPET™. These enhance properties of polymer compounds thus enabling their increased adoption in automotive, wire & cable, wood plastics composites, flexible packaging, white goods and recycling industries besides several others.